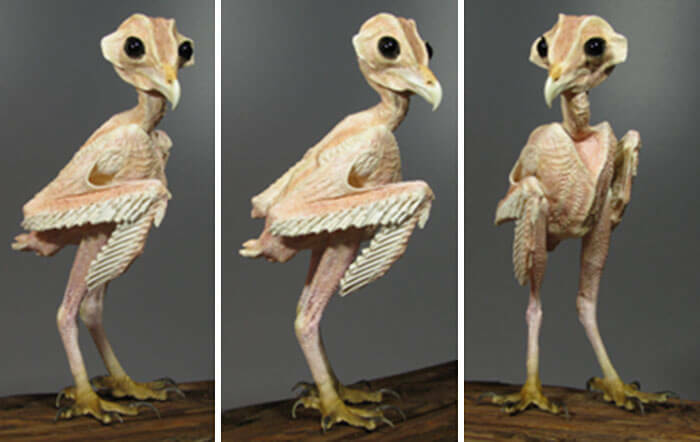 You just have to see this image of owl without feathers! It’s the image you’ll stare for a couple of minutes trying to figure out if it’s true and if it is true how it can be possible. Once this process went through your mind it’s becoming simply amusing so it’s no wonder that tweet about how owls look naked went viral pretty fast and amused large part of the Internet community. The author of the mentioned tweet was Dana Schwartz. 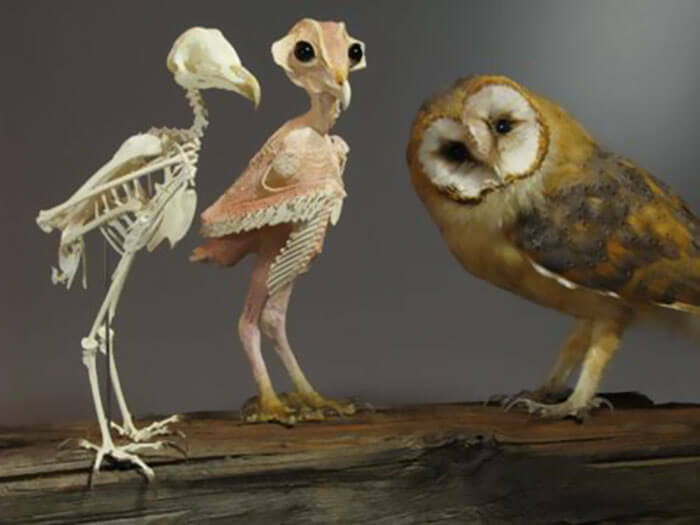 She called the photo in which a regular owl “meets” its “skeleton cousin” – “the spookiest meeting of all time”. Dana also wrote- “I just googled what owls look like without feathers and I am severely shook.”. 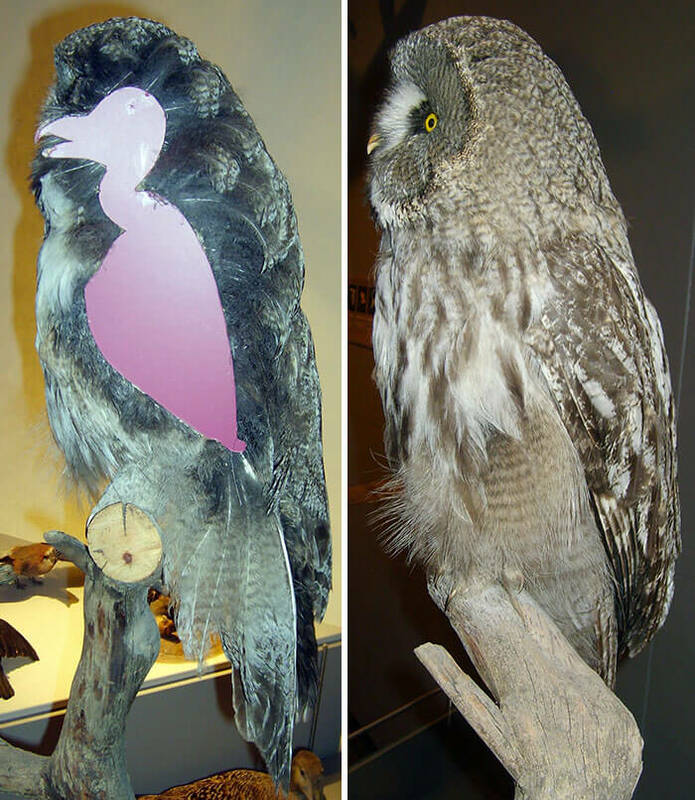 And really, one must be shocked seeing the fatherless owl pic and ask themselves – is it real?! The answer to this question is – Yes! 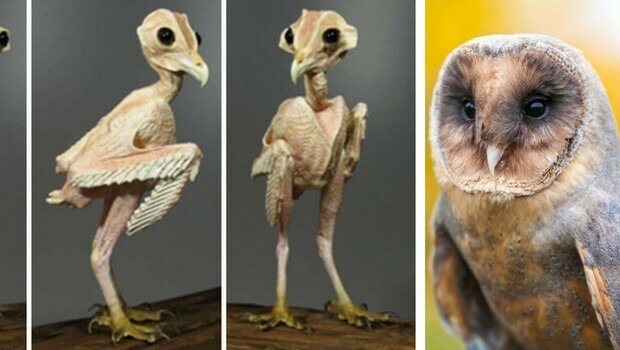 “The bird in the center is what a barn owl would look like with almost no feathers. It’s actually a great photo showing how much feathers change the appearance of a bird,” the deputy director of World Bird Sanctuary, Jeffrey Meshach, told Buzzfeed. 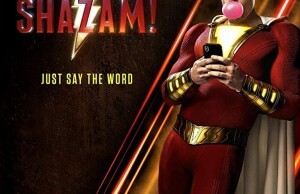 However, the Internet didn’t take this shocking photo well, no matter if it is true. There were many comments expressing doubt that it’s an owl without feathers at the picture. Some of them even claimed it could be a skeleton of an alien (?). 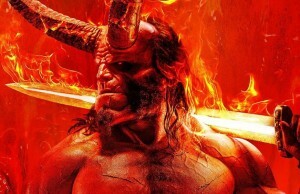 Check out in the gallery below the tweets and the photos and some of the comments. Don’t forget to share with us what you think in the comment section! Dana was curious and set the Internet on fire with this tweet. 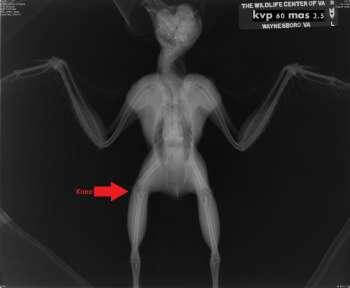 This is an X-ray image of an owl, so you can clearly see his skeleton thin body without all the feathers hiding it. 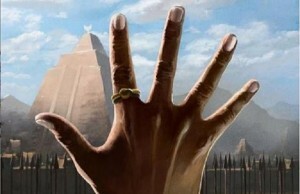 Avalanche of comments started. Read some of them below. Makeup? No bro, it’s just my feathers.